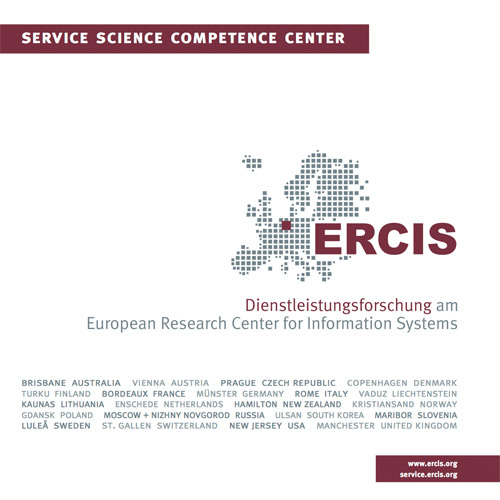 SmartMarket2 | ERCIS Competence Center "Service Science"
smartmarket² adapts successful strategies from online retailing to high street retailing to create interactive customer experiences. Research sets out to develop data-driven value-added services, as well as apps that allow a co-production resp. co-creation of customer experience in inner-city areas. Based on their current location, inner-city visitors receive information on e.g., the latest retailer promotions and campaigns. Customers act both as consumer of retailer-provided information on products and campaigns, and as information providers by writing and publishing product-related information, such as ratings and reviews. Retailer- and customer-generated information set the foundation for innovative location-based services and business models for inner-city retailers. Additionally, smartmarket² conducts data analysis on behavioral, context-aware customer data. This yields novel data sources of customer behavior to shed light e.g., on the flow of customers through inner cities, which offer analysis potentials both for science and practice.